Adrian Edmondson made his name as the psychopathic punk student Vivyan in classic eighties sitcom The Young Ones. 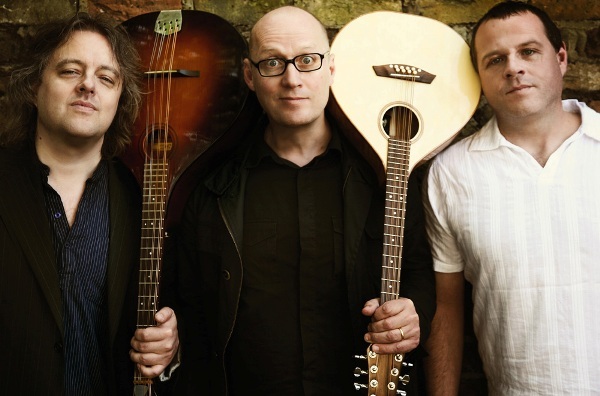 These days, in a neatly cyclical turn of events, Edmondson is touring with his band The Bad Shepherds to perform energetic folk covers of classic punk songs, with a date this evening in W12 – proving, if nothing else, that even violent maniacs like Vivyan can mellow in their old age. What does seem like a somewhat gimmicky premise actually works pretty well – the translation from angry electric guitars to spirited acoustic ones is fairly effective. Edmonson suggests that punk “was the folk music of its day” and it’s hard to argue when you can expect cheerful acoustic versions of ‘Teenage Kicks’, ‘Anarchy in the UK’ and a Ramones medley. Edmondson’s roles are listed as ‘Vocals/Thrash Mandolin’. As you might imagine, it’s all tinged with a layer of irony, but unlike other actors recently foraying into music (hello Tim Robbins) this particular foray boasts a real musicianship, solidified by established folk musicians Troy Donockley, Andy Dinan and Ella Edmondson joining Ade on stage, and a heavy touring schedule behind them, including a well-received Glastonbury appearance last summer. Tickets are just about still available for the gig tonight at the Bush Hall; expect to stand shoulder to shoulder with a mix of ageing punks, real ale fans and curious musos in what promises to a be a quirky and different way to spend your Friday evening.